This is something I have been wanting to do for a long time. As a person who over analyzes every purchase I've ever made, I can understand how important reviews are for the modern day consumer. My goal is that some of the things I say will help add more information to this community and possibly help people make decisions on what products they should use. All my reviews are 100% honest based on my own experiences. The first 4 frames I built I used an Ice Toolz E181 Reamer. It is a decent tool, but I wish I would have saved my money. While the Ice Toolz reamer did the job, you can tell it was not quite manufactured to the highest standards. One of the most frustrating things I noticed was the threaded rod for the guide cone came out of the upper handle at a slight angle. 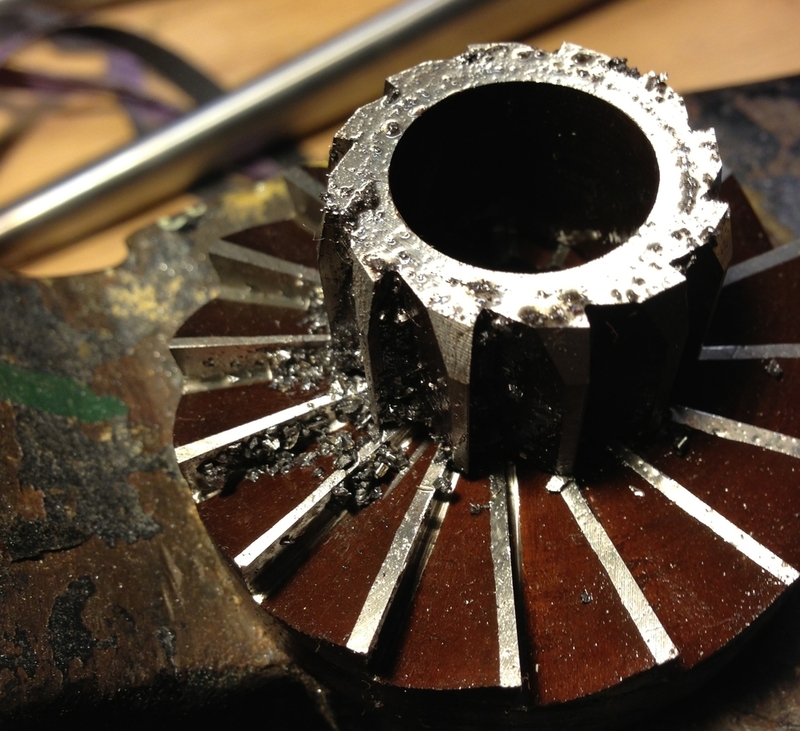 This meant that the facer never sat flat on the HT, and only a few teeth would always do the cutting. 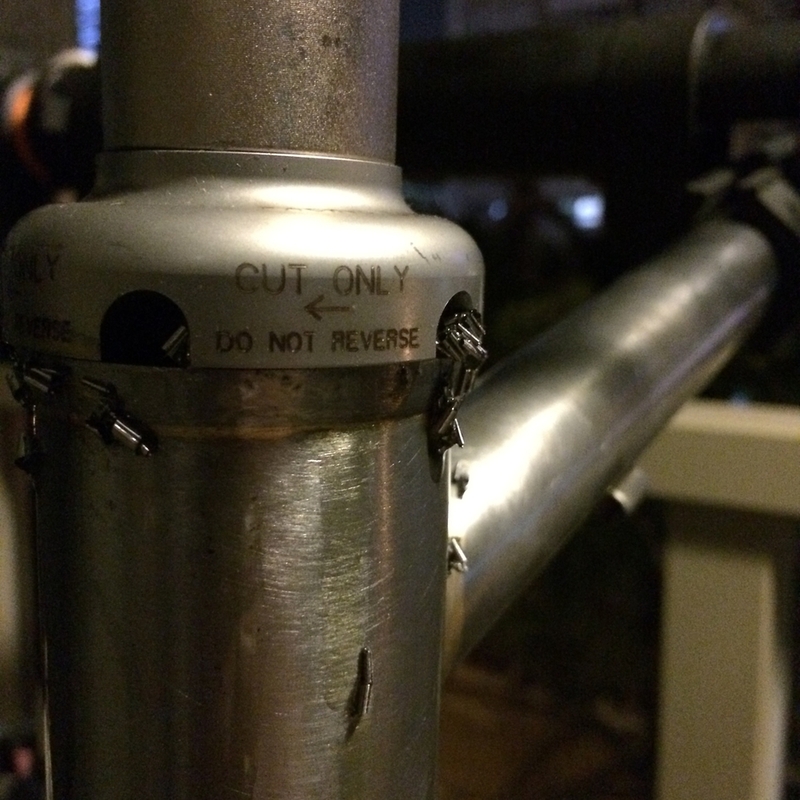 It also meant the reaming was not done exactly perpendicular to the Head Tube. While this never caused a problem, it annoyed me every time I used it. I will say that this was not because the threaded rod was bent, but actually because the hole was drilled at an angle in the handle. Trust me I tired to fix this issue. One thing I did like about the Ice Toolz E181 was the fact the handles unscrewed from the handle body. This was nice for storing the tool as I would only break it out every month or so. The case was actually a pretty nice touch too, something I wish my Cyclus and Park tools had as most of my tools are not hung on a wall. Ultimately the Ice Toolz E181 did work, and maybe I just received a bad unit that slipped through QC. However, if I could go back in time I would have probably just saved one extra paycheck for the PARK HTR-1B, which I actually end up buying on Ebay for about the same price. 1" HT Reamed and faced with the Ice Toolz Reamer. This is the 3rd frame it was used on. Ice Toolz Reamer, you can see the chip accumulation in one area. This is the only part of the tool that touches the HT as a result of inconsistent manufacturing. The PARK HTR-1B is a far better tool. It's built a lot better and you can just feel that when you pick it up. In addition, the lower guide cone design is 1000X better. This makes reaming/facing a lot smoother with less effort. One thing I don't like about the HTR-1B is the handles are welded. For someone who always seems to not have enough tool space, it would be nice if the handles could be unscrewed for storage. This is a tool I'm not using all the time since my volumes are fairly low, so I usually like to tuck it safely away in my tool box. The cutters and the HTR-1B are quite nice, and they do a good job of making round holes for easy HS pressing. In reference to the cutter there are no anti-rotation features on the reaming cutter and it can slip from time to time, which can be a little annoying. I think Chris King takes the correct approach by splitting up the two operations. It might take a bit longer, but the end result is improved. Although there are a few nuances, the Park HTR-1B is a well designed tool for the professional builder and I highly recommend it for hobby builders as well. Although you will save initially with the Ice Toolz setup, you will ultimately pay for it in the end. Plus the resale value on the Park is a lot higher if you decide that framebuilding is not for you. For those of you need a 44mm solution, look no further than the Chris King 44mm HT Reamer. It's probably the best setup out of any reamers on the market. The quality of the manufacturing is top notch, it's become one of my favorite tools.